Friday morning we were up at sparrow fart, ready for a weekend in the eternal city, Rome. The trip from Lucignano, Tuscany to Rome involved an early bus to Arezzo and train to Rome. All up the trip would take about 6 hours. A second coffee stop was required in Arezzo before all aboard the train to Rome. After a bit of confusion in the Terminali station in Rome, we were on the metro to find our accomodation for the weekend, in the historic suburb of Trastevere. Trastevere, is budget friendly and perfectly situated near the Vatican City and the historic sites of ancient Rome. Our home away from home in Rome for the weekend was located in one of the piazzas that the area is famous for, Piazza San di San Francesco d’Assisi. It is a gorgeous cobbled road lined with bars, restaurants and cafes. 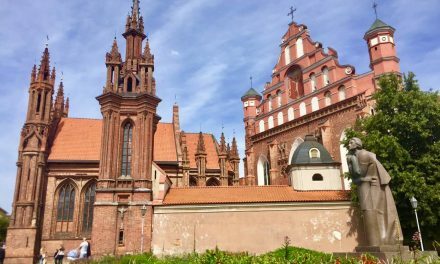 This is of course, overlooked by a centuries old church. Early spring in Rome can be a bit hit and miss in terms of weather but we had arrived on a warm, sunny Friday afternoon. There was nothing for it but a glass of wine and lunch at the Cantina Ripagrande, right across the lane from our temporary front door. Do we really need to explain how perfect life felt right at that moment? At the beginning of our 12 month long sojourn in Europe, discovering the ancient civilisations we have both had a long fascination with, was one of our goals. 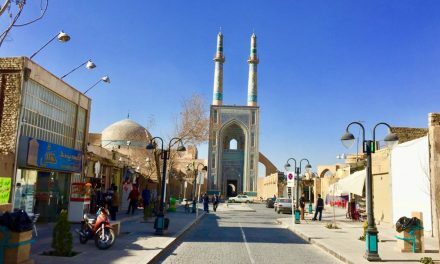 Hence our stop over en route in Iran, to visit Persepolis and other ancient Persian sites. The Romans, would have to be our favourites though and we were as excited as a couple of kids at Christmas, to be in their town. Our Airbnb host arrived, enjoyed a glass of wine and then kindly took us on a walking tour of the area, pointing out her favourite deli’s, wine bars and the local market before leaving us to dump our bags and start exploring. The culture of enjoying a walk and socialising, or passeggiata as it is known, is integral to Italian society and is wonderful for a couple of old walkers like us. 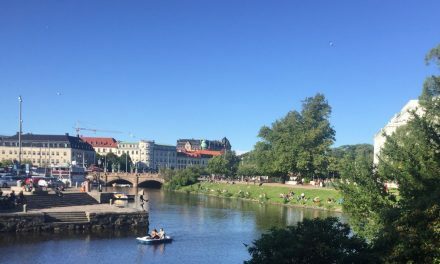 Walking is our favourite way to discover a new location, it keeps our waist lines in check (in theory) and is budget friendly for long term travellers. So it was that we found ourselves strolling along and over the river Tiber, toward the city. Let’s be honest, there are cities in the world that are tourist magnets for very good reasons and Rome is one of them. Rome is at once very ancient and not so. An accumulation of dirt and dust pervades all, but rather than creating a feeling of forlorn detritus, it gives one the sense of being in the company of an old lady. 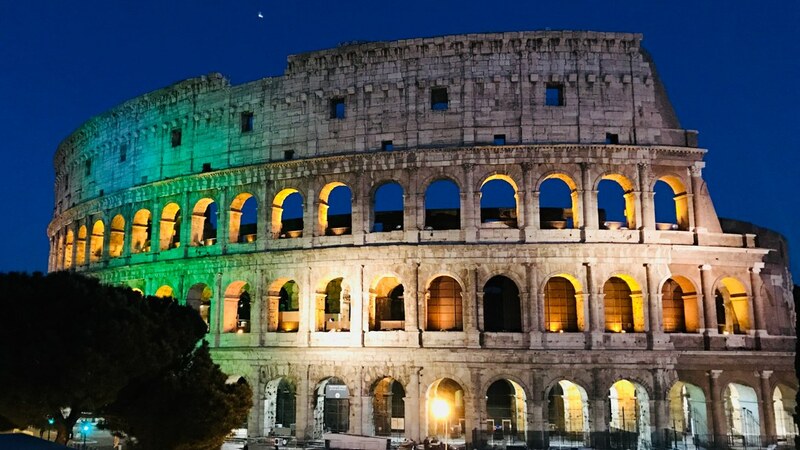 There is a gentility and acceptance about her that belies the steely determination to succeed that has given it the title of the eternal city. As for us two spring chickens, we were positively delighted as one discovery led to another and we were gloriously lost. AGAIN! Not sure what we are talking about? Read more of our Travel Tales to find out that we are not so much lost travellers as easily distracted walkers. The Forum rose impressively before us, only to be superceded by the glorious Colosseum, which we had tickets to see the next day. No matter, we were kids in a lolly shop and nothing could stop us. We must confess that we were sidetracked by coming across an Irish Pub and it being St Patrick’s Day, we felt it our duty to pop in for a quick pint of Guinness. We looked at each other, drew a deep breath and agreed that we just had to see the Spanish Steps and the Trevi Fountain before heading home for the evening. As it turns out, collecting those two was a great deal more strenuous than we had foreseen. False paths, slow google maps directions and the bane of all tourists – other tourists, conspired to foil our plans. Nevertheless we eventually found ourselves in front of the Trevi Fountain, along with 2000 other tourists. It is a marvellous construction, however the amassed throng made it rather difficult to appreciate. And bear in mind, our weekend in Rome was in the off season. We can only imagine what it must be like at the height of tourist season; we have no intention of joining the undoubted chaos! After the fountain we struggled on, with increasingly aching feet and legs, until at last we arrived at the Spanish Steps. We were fortunate, insofar as there weren’t too many interlopers, perhaps no more than a couple of hundred, such that we were able to sit and reflect for a while. How odd that the Spanish Steps were built as the result of a competition, financed by a bequest from a french diplomat, to connect the Bourbon Spanish embassy and the Trinita dei Monti, under the patronage of the Bourbon kings of France? We finally turned for home via the Metro, having walked over 17 kilometres. No wonder we felt weary! We awoke Saturday morning with plans of getting away early and beating the crowds to the Colosseum but were somewhat slowed down by a stop at the cafe on the corner for coffee and croissants filled with pistachio butter, as recommended by our host. We had found a new delight and vowed to return the following morning for a repeat performance, Cath is already considering how she is to source such a product at home. 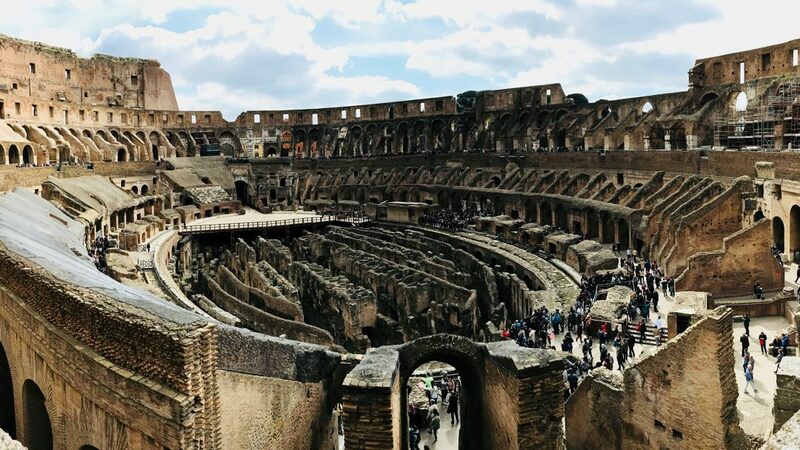 Pre-purchasing tickets to the Colosseum turned out to have been a very sensible idea and before long we were inside the Colosseum, awed by the size of it and a bit saddened by the awareness of the vicious and violent history held here. Our mood was lightened by frequent recitations from Monty Python’s Life of Brian, Cath a little disappointed not to have been offered some otters noses! It seems we were not quite early enough to have beaten the hordes lined up to go into the Forum and Palatine Hill, the line snaked down the hill and and around the corner and as everyone appeared to also have pre purchased tickets we decided a quick visit to the Pantheon would do before lunch and then off to the Sistine Chapel for the afternoon. 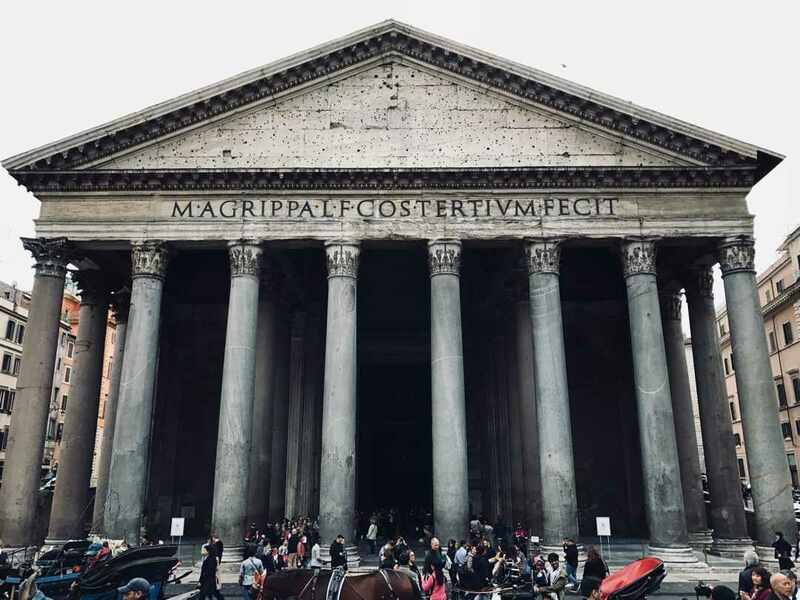 It turned out that the Pantheon was a bit tricky to find and before long we had covered more miles than planned and our poor old bodies were suffering from overuse again. Finally we staggered down the tiny winding alleys to arrive at the magnificence of the Pantheon. A bit of a rest and check of the map, saw us heading back to Trastevere for lunch and then on for the afternoon’s activities. Now it seemed that this was a sensible solution but we got lost. The Romans may have built long straight roads leading to Rome but once they got there they built a mishmash of streets that are almost impossible to navigate, so it was that we walked further than planned and finally with a very unhappy set of feet and legs we were back to the Cantina Ripagrande for lunch and wine. We left our run a little late for the booked 3 o’clock session at the Vatican Museums and were a bit anxious that we would miss out altogether, our anxiety only heightened when the change of trams at Valle Guillia led us to a tram that must have been at least 100 years old. We rattled and bumped up the hill, back across the river and finally to the Vatican walls, all the while planning our excuses for being late. It turned out we need not have bothered with excuses. 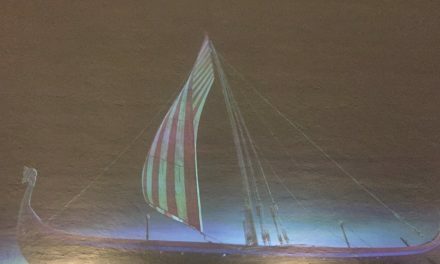 As we entered the ticketing area, Cath approached the desk, showed the email confirmation of pre purchased tickets and started making our excuses when, with a rather weary shrug the ticket clerk said, “It is no matter”, handed over the tickets and off we went. Now it has to be said that neither of us are fond of religious art, seeming as it is almost entirely populated with long suffering wretches, with miserable countenances, but the colour and exquisite detail of the artworks adorning the entrance to the Vatican Museum are undeniable. It was therefore quite disturbing to be treated to what can only be described as the Vatican’s version of running with the bulls at Pamplona. The starter’s gun goes off at the entrance to a long hallway, segmented by glass doorways into small galleria and away we go! Ten wide by a hundred deep, the tourists have to jostle, elbow and generally jockey for position, all the while keeping a sharp eye out for laggards goggling and taking selfies, clearly oblivious to the obstacle they create. Months of travelling however, prepared us and in no time we were weaving in and out, sidestepping, feinting left and going right, until Ian attempting to perform a blind turn, bounced off a rather large heifer, eliciting a disapproving groan from Cath. We did manage at last to get into some clear space ahead of the bulk of the herd and were then able to enjoy the spectacle at a more leisurely pace. Our intention though, was to see the Sistine Chapel and so we trotted on relatively quickly, noting various pained expressions on both the artworks and visitors faces…. At last we were finally ushered into the Sistine Chapel and sure enough it was very impressive. That is, to see 500 people crammed into a small room, being harangued by a few guards to keep quiet, one assumes so as not to wake up the pope. The ceiling is admittedly very beautiful. We weren’t given a great deal of time to appreciate the wonderful work though, as we had to make way for the next flood of tourists and so soon found ourselves on the move and in no time spat out the other end. It was our intention to go on to see St. Peter’s basilica next, however sadly that meant leaving the Vatican and walking a long distance around the outer walls to the other side before re-entering again. Put simply we couldn’t really be bothered with the walk, enjoying the evening with a vino and deciding on dinner sounded a whole lot more attractive. There is only so much one can manage in a day. A full day of discovering Rome had left us a little weary and we felt, quite justly, that we had earned a treat. A half hour of browsing at the wine shop on the corner was pure heaven. Eventually we purchased a delightful bottle of red which we imbibed back at the apartment, whilst we waxed lyrical about walking with some of our favourite peoples from history, the Romans. It was a pretty chilly Saturday night and as the trattoria, a few doors away on the corner had all the hallmarks of a local favourite, we ventured no further than 5 doors for dinner. Perfect! Suitably fortified, we essayed forth once again and sat down to what was to turn out one of the best meals of our trip, all the owners choice, menu a giorni. The trattoria was a real find, clearly Nonna was running the show, with Papa trying unsuccessfully to avoid being told off, son and grandson scurrying around to obey orders and finally a wandering maestro with Ian’s favourite instrument (NOT), the piano accordion, in tow. Luckily we had arrived just in time, as before long there was a line of regular customers standing in the piazza waiting for a table. We chose a delightful vino bianco to accompany the first half of the meal and a possibly foolish, but also delightful bottle of vino rosso to accompany the second half. With a very kindly bestowed Limoncello, served with a cuddle for Cath by Nonna, we found ourselves wandering out the door replete, if no longer discreet. Sunday found us unsurprisingly seedy, but we knew we could overcome our discomfort if we could just get to St Peter’s Basilica. Unfortunately, although we made it back to the Vatican in time to hear the thunderous applause for the pope, it was past standing room only and they couldn’t fit us in. Sadly we had to head off for home disappointed. Our weekend in Rome came to end with yet another magnificent meal. The train trip back to Arezzo and the subsequent bus journey afforded us a welcome opportunity to snooze, which we happily took, arriving at our Tuscan home, Lucignano, at around 9:00pm. Arrivederci Roma..
Ah, the magical Rome! Spending a weekend in Rome would be a dream come true for me and your article caused the travel bug to itch me. Are two days enough to see all the highlights there? We are hitting Rome in the next few months, so this guide is necessary for us. Thank you to share. 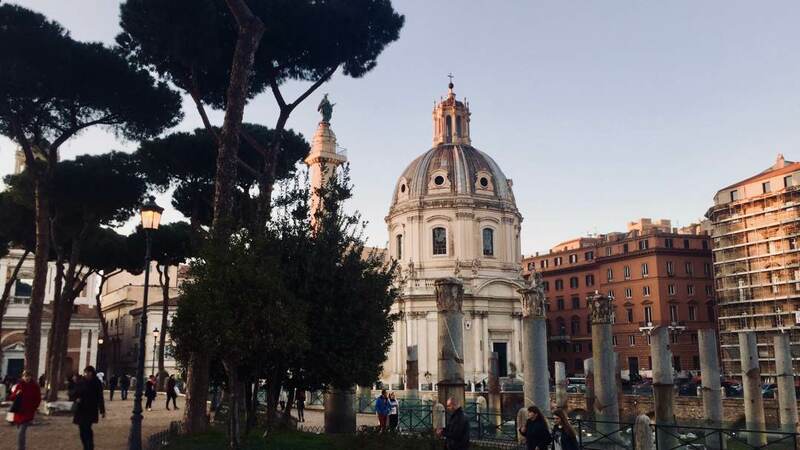 Rome is truly picturesque and your post shows a perfect destination for a weekend getaway, Rigomagno. Loved your itinerary and I hope to use it soon. We went tot he Trevi fountain in the evening in the dead of winter and unbelievably, not many people there at all! We were so pleased because we wanted to avoid the crowds. Even managed to get a photo of just myself and the fountain! 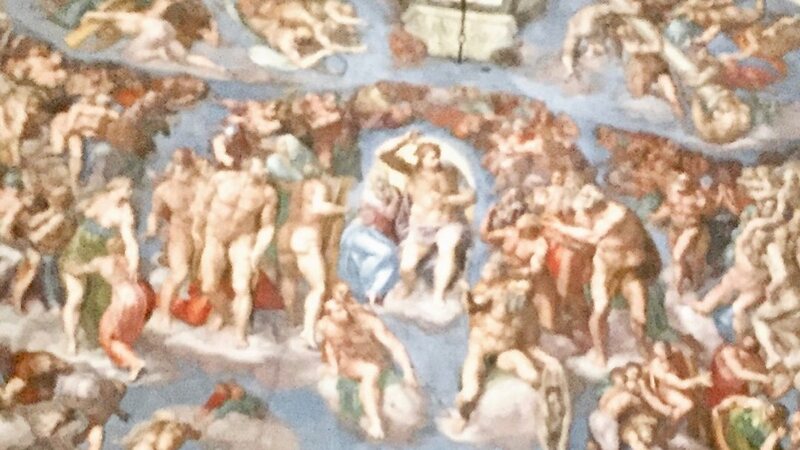 Sistine Chapel was amazing despite the people and the people telling us not to take photos. We weren’t ushered out though so I sat there and listened to the audio guide until I was done. Hi Mayuri, we hope you get to tick the Trevi fountain off your bucket list soon. I stayed in a small hotel in front of Trevi Fountain a few years ago. It’s called Hotel Fontana. 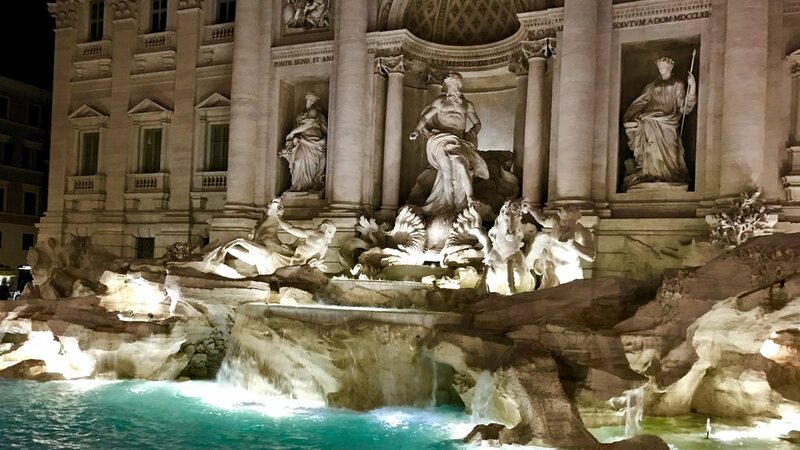 At night you have the Trevi Fountain all for yourself. Marvelous! Very nicely written post. 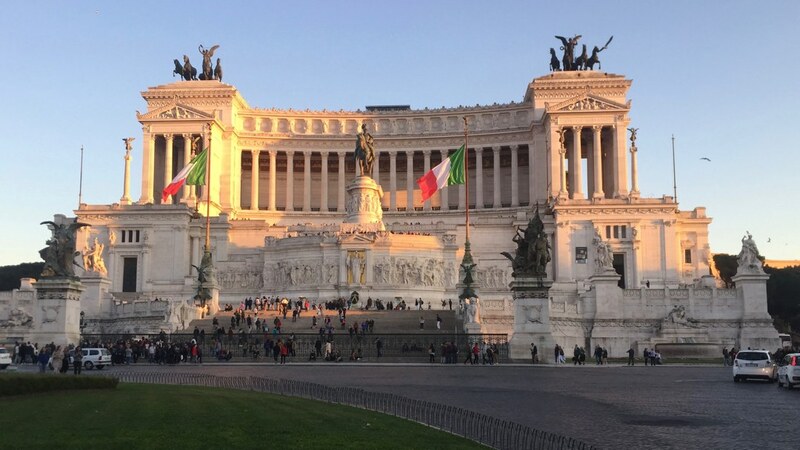 There are some useful tips and insights in the article which we are sure to find helpful when traveling to Rome.